A glimmering jewel on the Victoria & Alfred Waterfront, the Cape Grace Hotel is one of most sophisticated properties in Cape Town. Set against iconic Table Mountain on its own private quay, the hotel was renovated in 2008 and fully embraces its South African heritage, the decor blends historic elegance and contemporary style. Each of the 122 rooms is spacious yet warm, with exquisite detailing in every facet of the room: from 600 thread count sheets to heated towel racks. By day, lounge by an outdoor swimming pool surrounded by trellised gardens, and in the evening dine on superb regional cuisine in the comfort of the award-winning restaurant. When you want to explore this spectacular city, you will enjoy the central location of Cape Grace, with quick and easy access to the airport, city center and popular tourist destinations. Superb service is a hallmark of Cape Grace service, the staff is warm and friendly whether they are checking you in or serving you a drink aboard the privately owned, 56-foot yacht. Speaking of drinks, Bascule Bar, set on the water, is a perfect place to savor an alfresco meal matched with a glass of superb Cape wine. 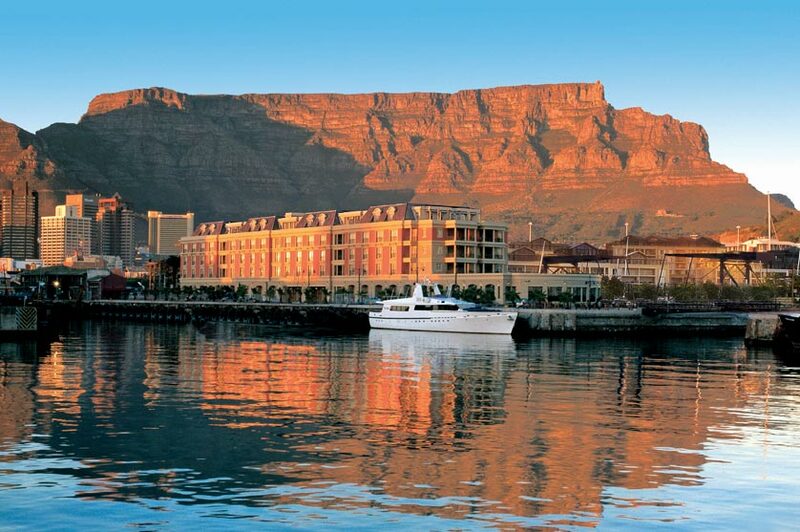 The Cape Grace is a bastion of sophistication in a city regularly ranked among the best in the world.